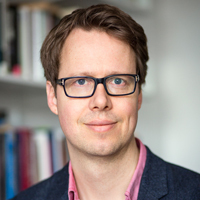 Felix Berenskoetter is Senior Lecturer (Associate Professor) at SOAS, University of London. He holds a PhD from the London School of Economics and Political Science (LSE) and specializes in international theory and concepts, in particular friendship, identity, power, security, peace, and time; as well as German foreign policy, European security and transatlantic relations. He has published articles in various journals and co-edited Power in World Politics (Routledge, 2007). Felix is a former editor of Millennium: Journal of International Studies, founder and former chair of the ISA Theory Section and currently an associate editor of the Journal of Global Security Studies.